Note: RIGHT HANDED BOWLERS SHOULD CHOOSE THE RIGHT HAND OPTION AND LEFT HANDED BOWLERS SHOULD CHOOSE THE LEFT HAND OPTION. 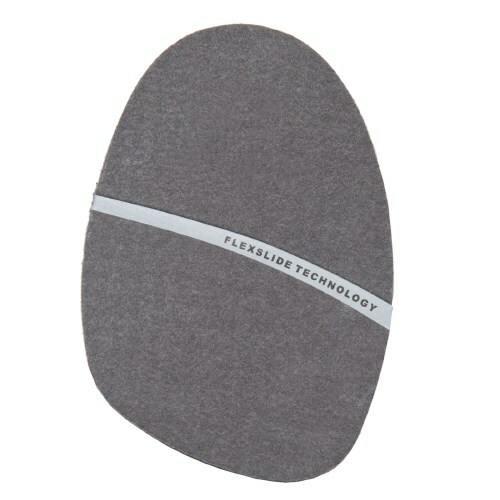 The KR Strikeforce SP-10 is a grey felt slide pad that is available for right or left hand bowlers. The SP-10 pad allows the most amount of slide when compared to the other slide pads available from KR. These pads may need to be trimmed to fit your size shoe. They are also compatible with any brand of interchangeable bowling shoe. RIGHT HANDED BOWLERS SHOULD CHOOSE THE RIGHT HAND OPTION AND LEFT HANDED BOWLERS SHOULD CHOOSE THE LEFT HAND OPTION. I've been a confirmed SP8 person for years, putting up with a bit of slide resistance, since I originally had tested the 'teflon' slide pads years ago when they first came out and promptly took a fall. These gray felt pads are great, and I don't have any trust issues with them. Combined with the black leather heel, I'm good to go. In fact I'm here on this site because I'm going to order two more of these #10 pads. When you are ordering replacement pads for your shoes, if it is asking Right or Left, it is referring to which hand you bowl with. This goes for both shoes and pads. So even though a slide pad goes on the opposite foot from which hand you use, you would need to get the pad based on which hand you throw with. Does this slide pad have sticky adhesive or Velcro on the non slide side? It will have Velcro on the non slide side. Due to the time it takes to produce the KR Strikeforce SP-10 Grey Felt Slide Pad ball it will ship in immediately. We cannot ship this ball outside the United States.